International law firm Herbert Smith Freehills has been named as M&A Team of the Year (Large Deal) at the prestigious 2018 British Legal Awards, which took place in London on 29 November 2018. The award recognised the leading corporate and M&A team in their role advising the Independent Committee of Sky plc on the competing takeover offers from 21st Century Fox and Comcast Corporation. In September 2018, Comcast emerged the successful bidder in the UK Takeover Panel-led auction for Sky that valued the company at £30 billion. Partner and Regional Head of Corporate at Herbert Smith Freehills, Stephen Wilkinson said: "We are extremely pleased to have been awarded M&A Team of the Year for our involvement in the competing takeover offers for Sky. It is testament to our team's expertise and experience dealing with complex and long-running transactions which in this case comprised navigating intricate legal issues requiring resilience and agility. We worked closely with both the executive team and the Sky legal and M&A teams on this deal alongside our firm's competition teams in London and Brussels to provide seamless, around the clock client service." Sky is a longstanding client of Herbert Smith Freehills with a relationship spanning nearly 30 years. Partners Stephen Wilkinson and Mark Bardell led the Herbert Smith Freehills team in the Comcast takeover, supported by senior associate Harriet Forrest and associates Imogen White and Laura Ackroyd. 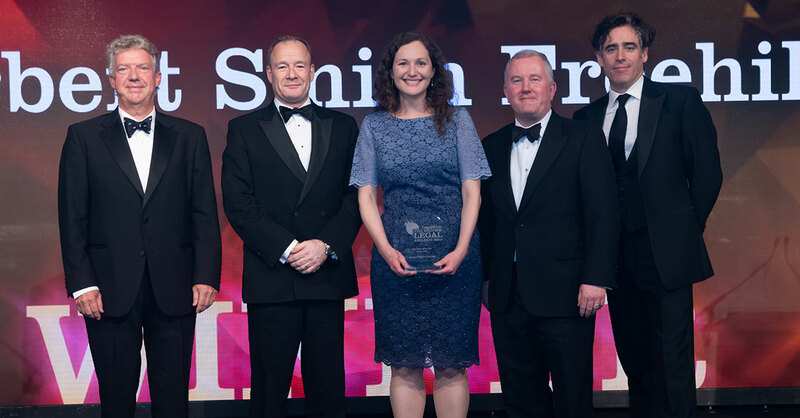 Herbert Smith Freehills were also shortlisted for Property Team of the Year and Litigation and Dispute Resolution Team of the Year at the 2018 British Legal Awards.